Culture in the Cave Room. 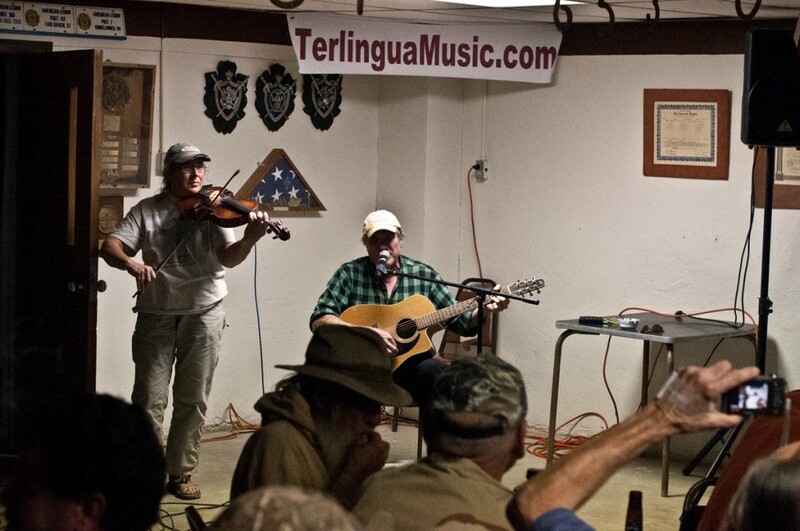 Classical music in Terlingua. 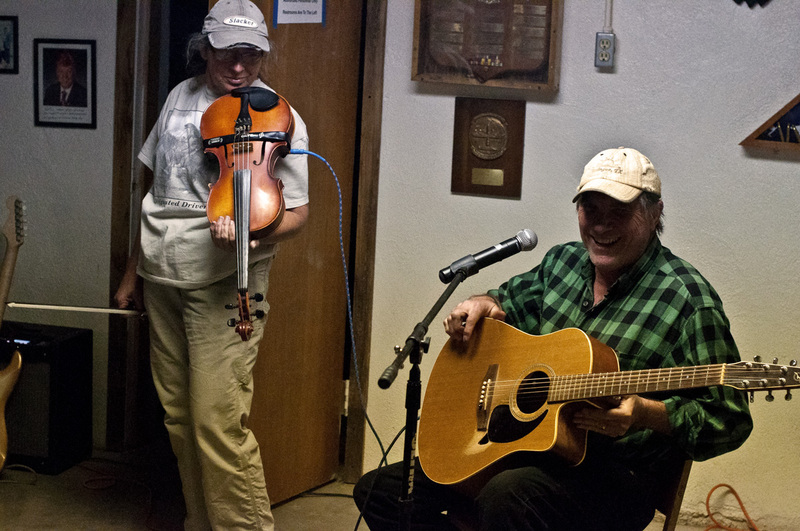 Terlingua is populated with poets with acoustic guitars. Take a stroll along the porch near the ghost town on any warm day, and you’ll see and hear guitars, fiddles, banjos (ugh), and hear voices united in ragged or heavenly harmony. You might think that’s what Terlingua music is all about. Kerry O’Hare, violin. Judy Eron, oboe. Jane Brown, viola. Charlotte Teer-Egerton, cello. Yesterday, 2/28/13, my pickin’ buddy Charlotte Teer-Egerton invited me to attend a rehearsal of the classical quartet that is playing at La Kiva tonight. The Third Legendary Jam was a blast. There were a lot of “usual suspects” on stage, as well as a few new faces: Ted, James, and Greg were 1st timers and were delightful. There was also a little drama, which has led to the “No Whiners, No Banjos” rule which will be strictly enforced at future jams. Jeremy, of the Austin Bike Zoo was in Attendance, along with a full house of Ranch and South County characters. The food situation was sketchy for a while, Ron brought crawfish and there was whiskey fudge… all hopes for a balanced meal were seemingly dashed until Bobby showed up with BBQ pork, brisket, and sloppy joe fixin’s. The link between Austin and Terlingua keeps getting stronger. Cognitive dissonance ensued – Jim Keveany and I talked about how strange it was to see THOSE faces in THIS place. And yet, it worked. A group of Terlinguaists occupied Spider House Ballroom near the U.T. campus Monday night. They brought their own crowd with them, which was augmented with Austinites with a Terlingua connection. Slightly off topic – this didn’t happen in Terlingua. In fact, I don’t think Billy’s ever been to Terlingua. But it is, by gawd, Texas cool. I got to participate in a photo/video shoot with Billy in Houston. My buddy and photography mentor, Rodney Bursiel, was doing the shoot for “Cowboys and Indians” magazine. I was there to drive, help schlepp gear, and make the “behind the scenes” video and photos. Me and the “Master of Sparks,” Billy Gibbons. We hung out with Billy all day. Went to his recording studio where ZZ Top has cut their last five CDs. Checked out his gear and got some recording tips – Billy’s surprisingly tech savvy. Got to hear stories of Jimi Hendrix, Joey Long, and some obscure Texas musicians that influenced Billy as well as the stories behind a lot of ZZ Top’s songs. Like a good Terlingua songwriter, Billy is just telling you about his life in his songs. He’s had an interesting life. We ended the day with a Mexican Food feast and shots of Pura Vida tequila. I’ll be posting some photos. I’ll print out some of the good ones and bring ’em to the legion for the next Jam. The video will probably end up online at some point- that’s Rodney’s call. I’ll be back in the ‘bend next week and we’ll start planning the Legendary Legion Jam #3.